The cover states this is a true story of grief, rescue and grace. 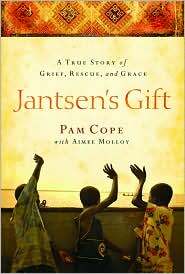 The grief began on June 16, 1999 when Pam Cope’s fifteen-year-old son, Jantsen, died. The rescue is her account of her work to save at-risk children, and the grace is how she has emerged, not fully whole, but in a much better place and as a better person. This is very honest account, Pam Cope details the horrible grief she felt, the debilitating depression she suffered after the death of her son, but some of the reasons she started doing the work she did was she saw how many people her son had helped in his short life. In short, this is an extraordinary well written account of one woman’s efforts to change things for the better. 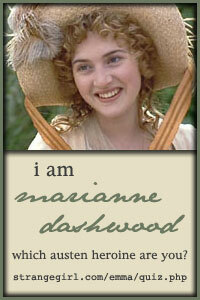 Included is a website to visit to learn more about the charity she and her husband started. I have 5 copies of this book to give away, click on the picture in the sidebar, or click this link to go to the post with details on how to enter. Giveaway ends April 30, 2009. Posted by Belleza on April 27, 2009 in Memoir and tagged 4 Stars, Recommended to read, Review. This sounds like a great book, and I can’t wait to read it. You did offer this is a contest earlier, right? I so want to win a copy. I thought I commented already for a contest. If not, enter me now, please. Thanks for the review.